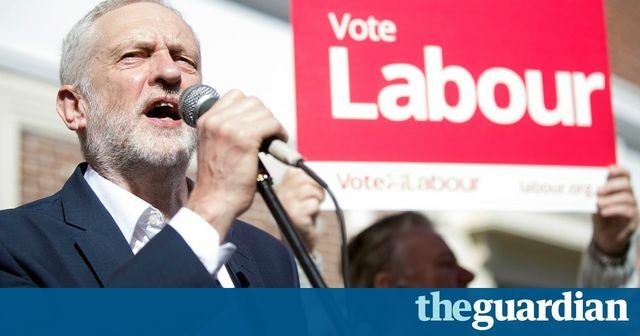 Jeremy Corbyn announced on 23 April that if Labour came to power, it would introduce four new UK-wide bank holidays for each of the patron saint days for the four home nations, namely 1 March (St David’s Day for Wales), 17 March (St Patrick’s Day for Northern Ireland), 23 April (St George’s Day for England), and 30 November (St Andrew’s Day for Scotland). Currently, in England and Wales, eight public holidays are recognised, namely New Year’s Day, Good Friday, Easter Monday, May Day Bank Holiday, Spring Bank Holiday, the August Bank Holiday, Christmas Day and Boxing Day. Scotland has 9 bank holidays, while Northern Ireland has 10. In recent years, one-off additional public holidays have also been granted, such as for the Queen’s Diamond Jubilee in 2012 and the marriage of Prince William and Catherine Middleton in 2011. What would the introduction of four new permanent Bank Holidays mean in practice for employers? Currently, workers’ minimum paid annual leave entitlement is provided by the Working Time Regulations 1998 (WTR), and is set at 5.6 weeks per year, meaning an employee working 5 days per week will be entitled to 28 days paid holiday per year (i.e. 5 days x 5.2 weeks = 28 days). However, no specific recognition is made within the WTR for public holidays, meaning there is no legal right of workers under the WTR to have a holiday on a bank holiday. So long as an employer ensures its employees take their minimum holiday entitlement during the year it is complying with its obligations under the WTR. The devil will be in the detail regarding Labour’s plan for new holidays, but unless there is a specific amendment to the WTR there will be no new statutory obligation on employers to let employees take holiday on the proposed new bank holidays. It will also remain to be seen if patron saint days falling on a weekend will be recognised as a public holiday on the next working day, similar to Christmas Day, Boxing Day and New Year’s Day when they fall on weekends. For most cases, the crucial issue will be the wording of employees’ contracts of employment and any collective agreements with recognised unions. In certain sectors, such as retail, trading on bank holidays is crucial so contracts specifically require employees to work on bank holidays (often referred to as the “usual public holidays in England and Wales/Scotland/Northern Ireland”). If new public holidays are introduced, this would not change the contractual obligation on such employees to work on bank holidays if required. However, for other sectors, such as professional services, contracts are very often framed as providing for a certain number of days of holiday per year (e.g. 25 days) plus the usual public holidays, and if an employee is required to work on a public holiday they will be entitled to a day off in lieu. For these contracts, an introduction of 4 new public holidays will have a real impact, as such employees will be contractually entitled to a further four days’ holiday, being almost an additional week off during a year. Certain contracts or collective agreements may also provide that pay for working on public holidays will be at enhanced rates, which when coupled with rises in national minimum wage will, again, have a further impact on employers and their annual wage bills. Putting things into perspective, England and Wales generally have fewer recognised public holidays than other comparable Western economies, so increasing it to 12 will bring it more in line with other countries. Germany’s holidays vary between its states, but ranges between 9-13 days, while France currently has 11 recognised public holidays, but if such days fall on weekends no holiday on a weekday is provided, meaning on average there are around 7-10 public holidays each year. In the United States, Federal employees enjoy 10 public holidays per year, however, the level such holidays are observed by private sector employers varies, and in most cases US workers have lower levels of annual leave entitlement. Whether Labour will be elected to be able to introduce these new holidays remains to be seen, but it is an interesting indication of the party’s movement in continuing to build on worker rights which is likely to be a battleground in the election. The key issue for employment lawyers will be the messages from the Conservative Party in its forthcoming manifesto regarding worker protections, given Parliament’s new ability post-Brexit to curtail or remove any EU-based protections.